LATEST HMI NEWS FROM THE KM MUSIC NEWS WIRE: ZENGLEN. TVICE. RICHIE KLASS. DABENZ FIDEL + MORE! 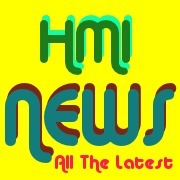 *HMI BANDS GET PUBLIC PROPOSAL FROM CD PRODUCER FOR THE SURVIVAL OF THE HMI! *JESSIE'S RESPONSE TO PRODUCER BAZILE'S PUBLIC PROPOSAL TO HMI BANDS! *RICHIE KLASS & FANS PUT UNDER THE MICROSCOPE FOR "BAGAY 9" TAG! *THE 3 HOTTEST CDS ON THE MARKET RIGHT NOW ACCORDING TO TOP CD DISTRIBUTOR!